It is Harley Quinn’s turn to have some fun. 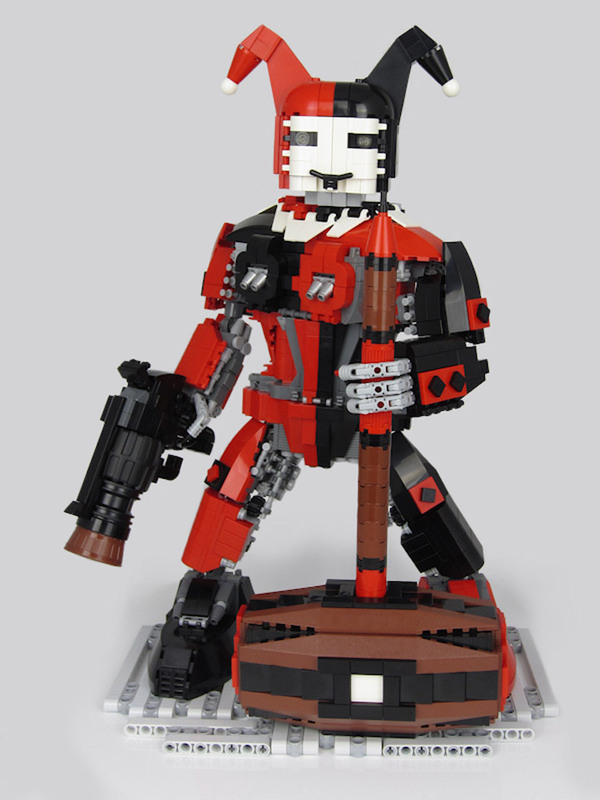 Harley’s Harlequinn is a Lego Mech created by Peter Taylor for the Mech Madness 2012 contest. 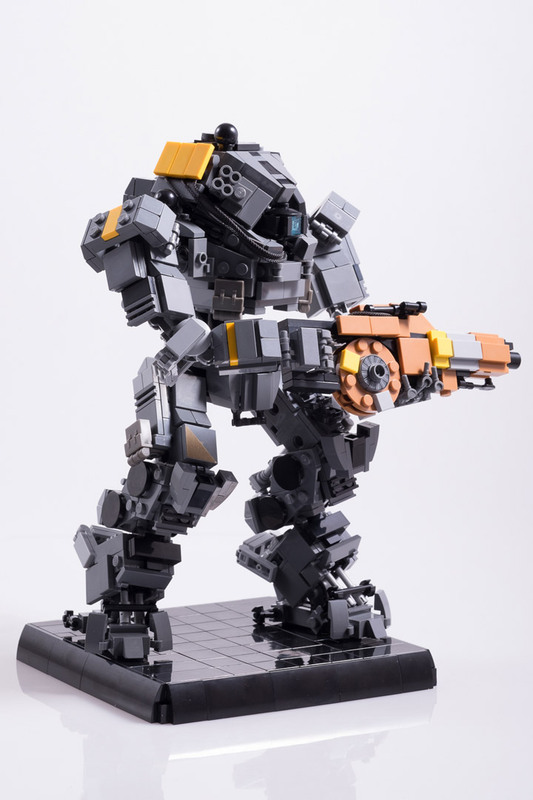 This mech stands up without supports, but a base was specially designed to help it stand in more dynamic poses. Check out all the features. The main weapon is a massive hammer. And, when that doesn’t work Harley can always use her giant pistol. It is made out out of various wheel parts, and even the Lego barrel (which is usually found in the Pirates theme). The Harlequinn features a four finger hand with knuckles, perfect for picking up Batman. If she is ever in trouble a few hidden cannons can help out. 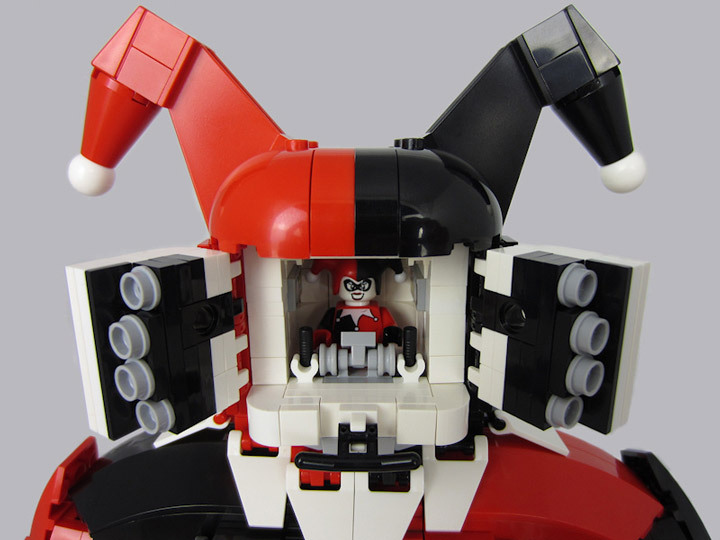 Harley Quinn herself pilots this monstrosity from inside the head, with duel joysticks. Batman seems to have a tool for any situation. A few of the vehicles he owns include the Batmobile, the Batplane, the Batcopter, the Batpod, the Batskiboat, and the Batmissile. There is clearly a pattern. It is then easy to imagine that when Batman goes to Yosemite or Yellowstone he would bring along a Batcamper. 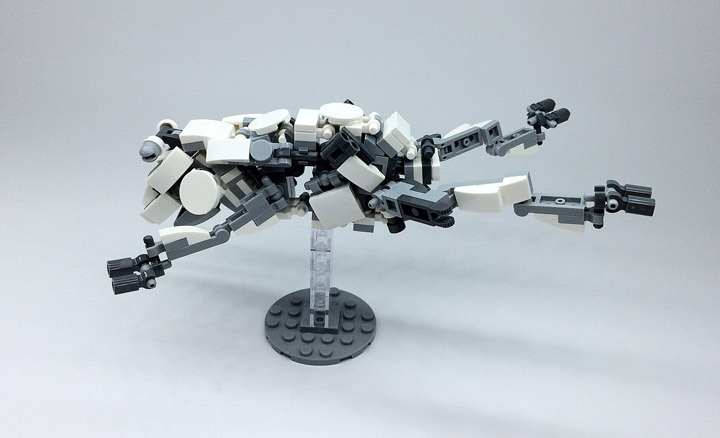 This Lego MOC is the creation of Hoyin Lau. It is clearly based on the famous Volkswagen Camper Van. Not only is the camper black and yellow but it also features multiple bat detailing. 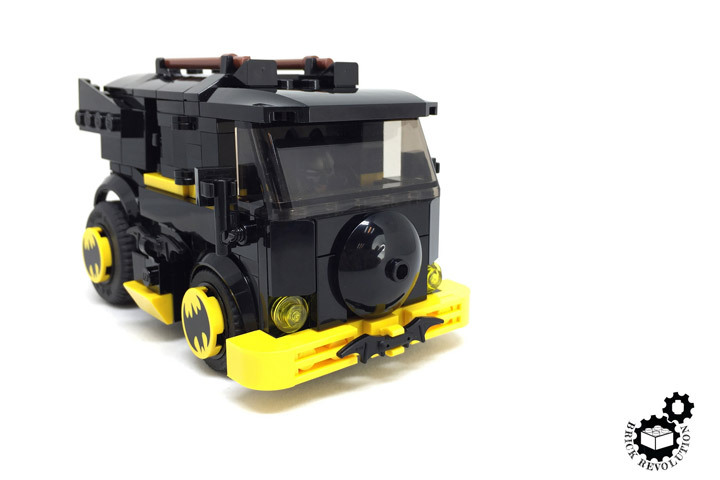 Just like the Batmobile in the Tim Burton films, this Batcamper can transform into something else. 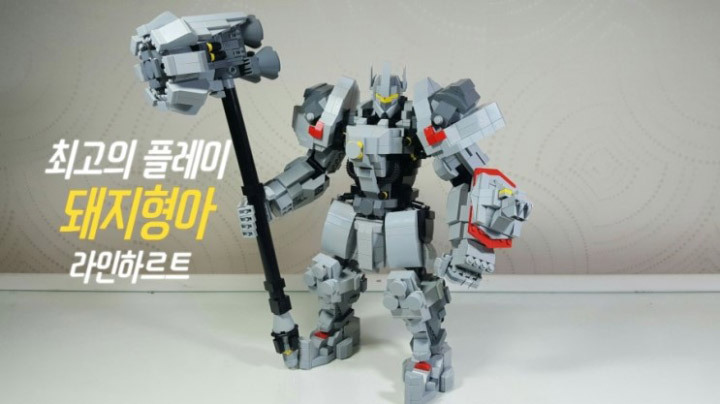 In this case a bulky mech style robot. With the new arms and legs this is truly an off-road vehicle. The super popular video game Overwatch has at least 23 characters, and that number is growing. With the newest being Sombra. 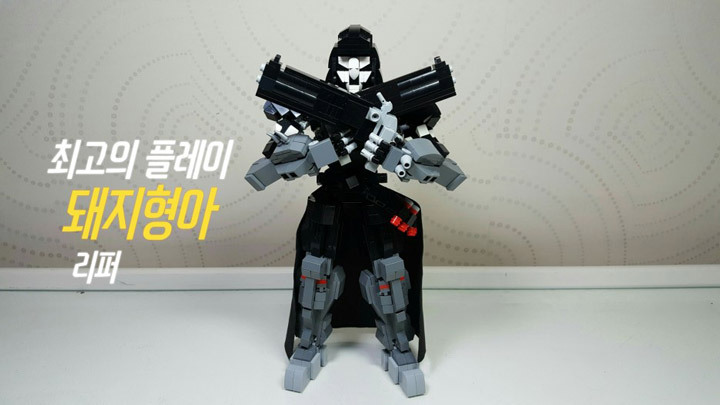 Many people have been building Lego Overwatch MOCs based on these characters for a while now. 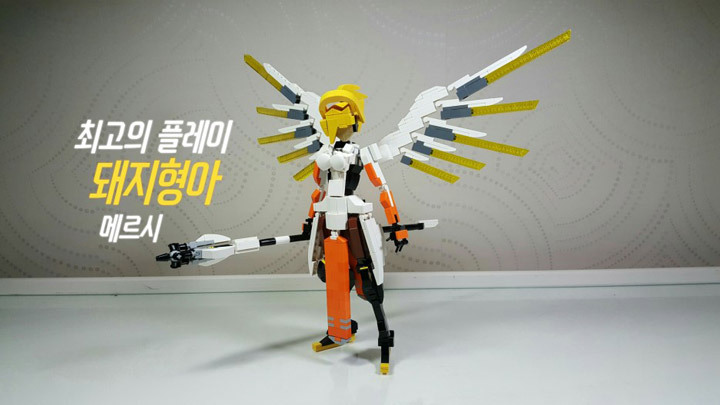 Lego builder shm03337 has been creating a whole collection of Overwatch heroes. They have currently built nine, which seems like a lot but is not even half of them. This is a huge project. 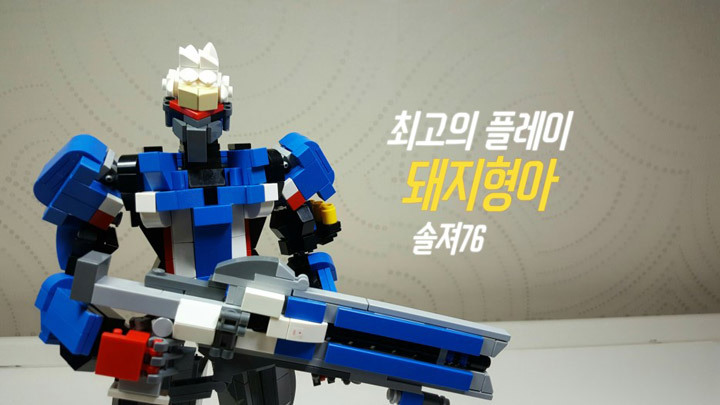 The group consists of Lego versions of D.Va, Bastion, Torbjorn, Soldier 76, Mercy, Reaper, Pharah, Reinhardt, and Genji. The D.Va stands out for just how much work went into it. 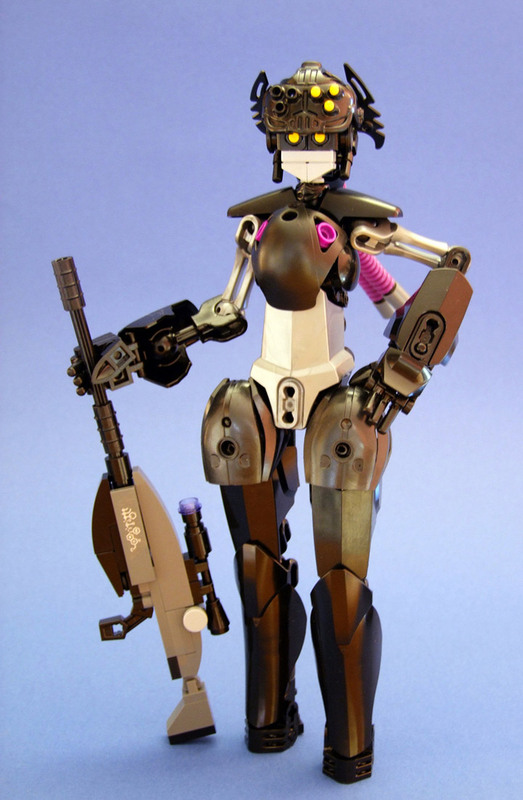 Not only did shm03337 build the character but they also built her mech suit. 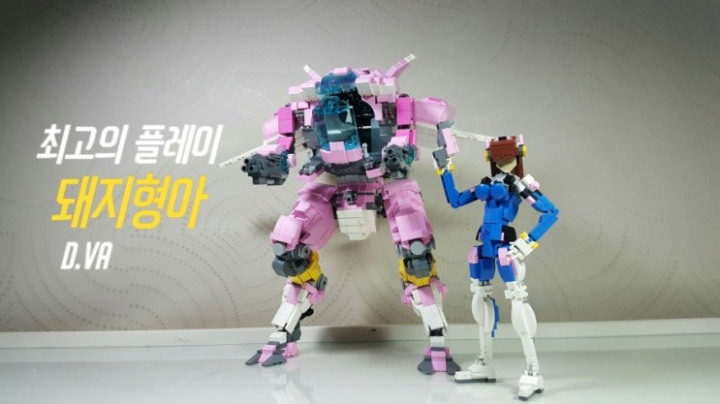 D.Va can also fit inside the suit, with some “slight” modifications to the Lego figure (removing legs). 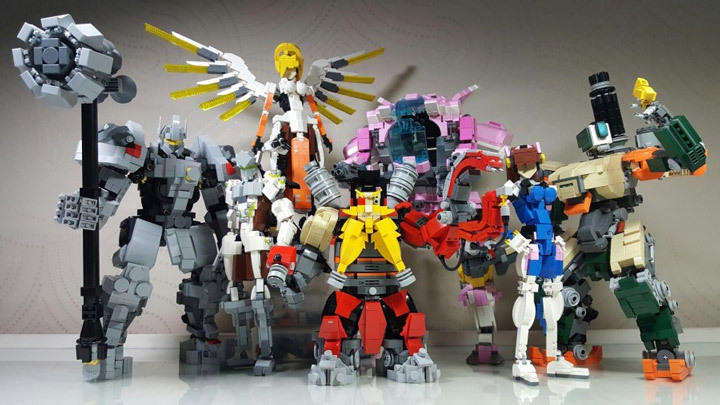 Then there is Bastion who has his Lego bird, Torbjorn with his awesome beard, Mercy’s wingspan, and Reinhardt’s huge hammer. There are so many characters, so if you do not see your favorite it might be added at a later time. 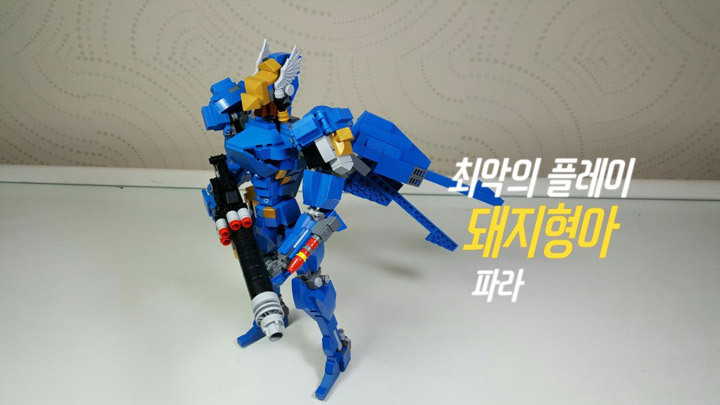 There is also a good 6 minute video that shows off all the little details for these Lego Overwatch characters. This was put together after the first 7 heroes where built, so a few of the newer ones are missing. It is a must watch video, especially to see how they all work. 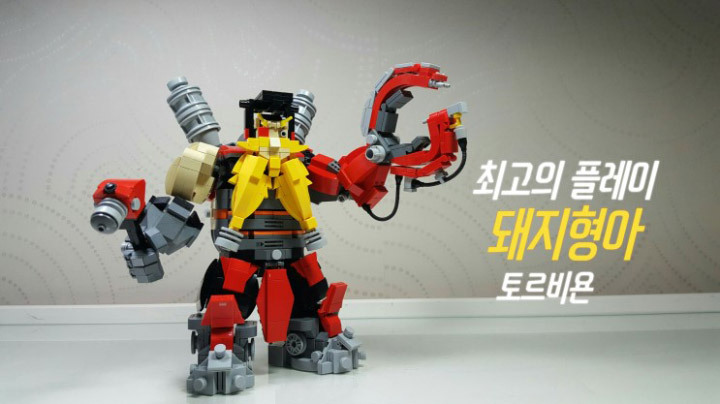 There are also a lot of videos documenting each Lego MOC hero. You can find the D.Va video embedded below. It covers the design, and features of the build. 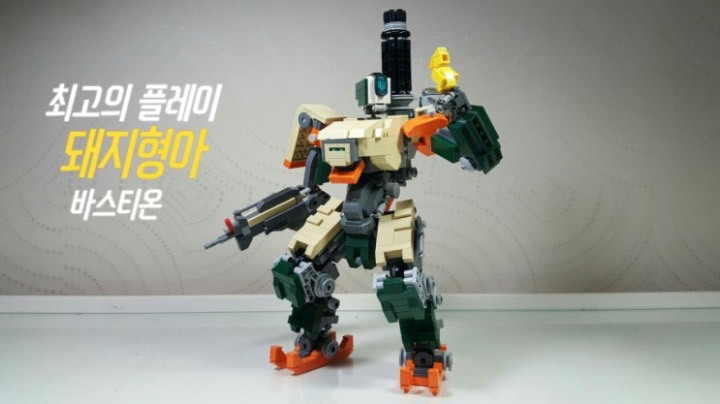 And even shows how D.Va fits inside the mech. Check out their YouTube channel for all the videos. The Sniper Robogirl, named Heartstopper is the creation of icemonster. 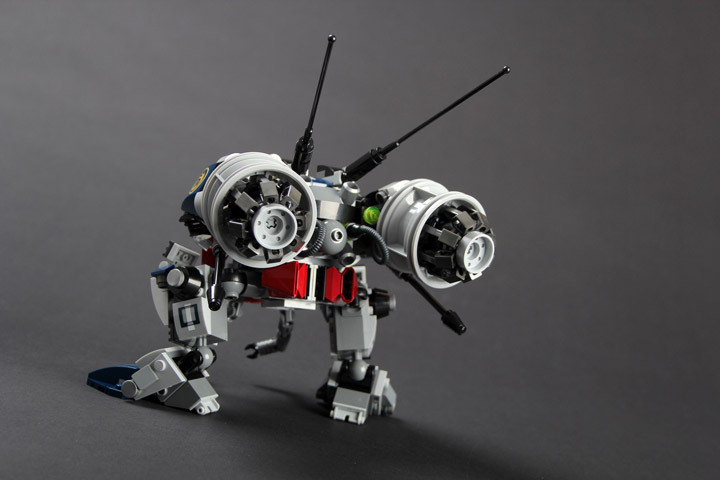 This Lego mech features a full range of motion, thanks to all the balljoints. 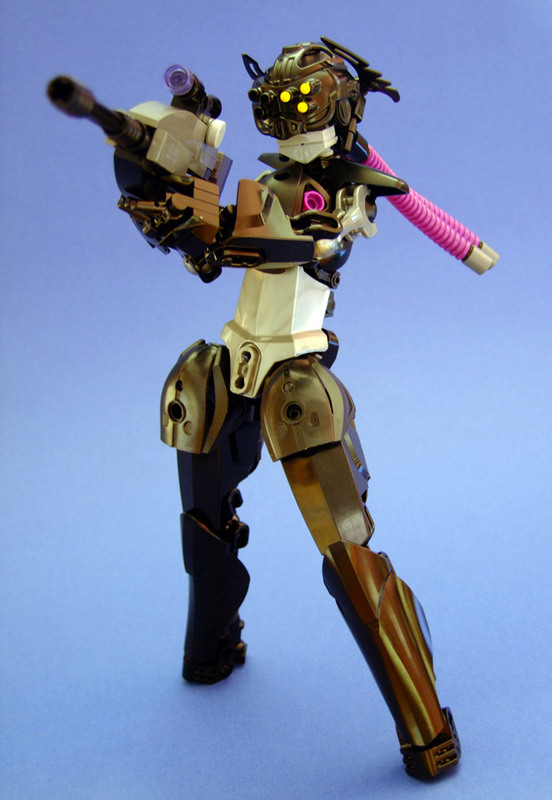 She uses a lot of Bionicle pieces, which blend in well with all the other Lego bricks. Check out the visor/binoculars and those hands. The pink highlights help the design stand out too. This Lego Hippopotamus has a whole lot going on in its smallish package. Some of the odder pieces being used here are car hoods (for the mouth), tank treads (around the belly), small skis (all over the place), and even binoculars (the nose). Everything is carefully placed and a lot of the joints and connections are barely held together. 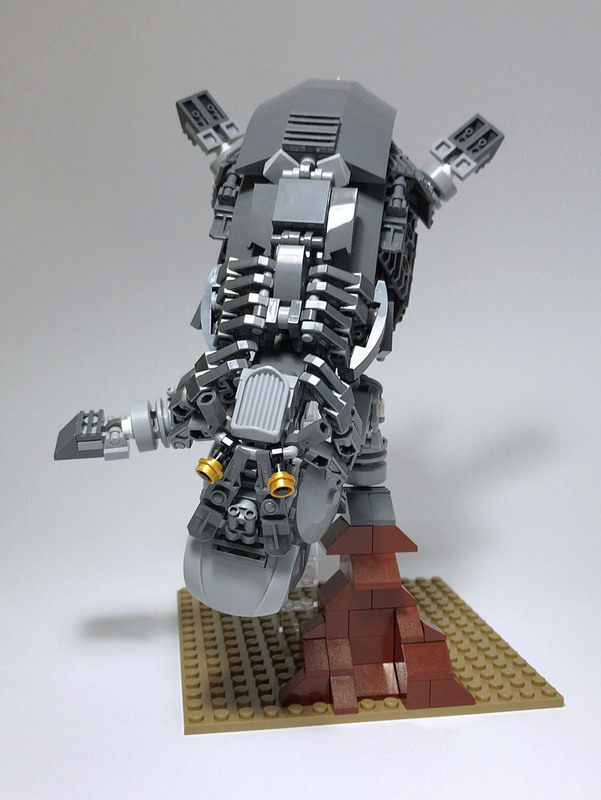 Even so, our Lego Mech Hippopotamus is posable. It has strength where it counts, and can stand up on only one foot. 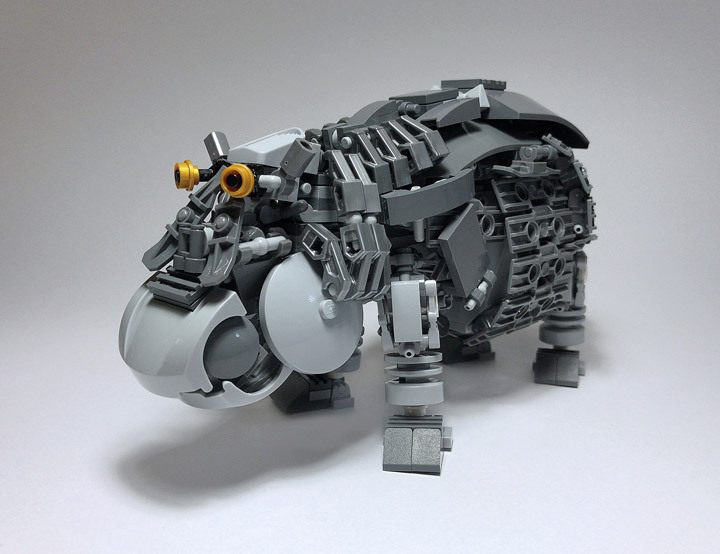 Our friendly hippo is created by Mitsuru Nikaido, who specializes in creating robot animals. 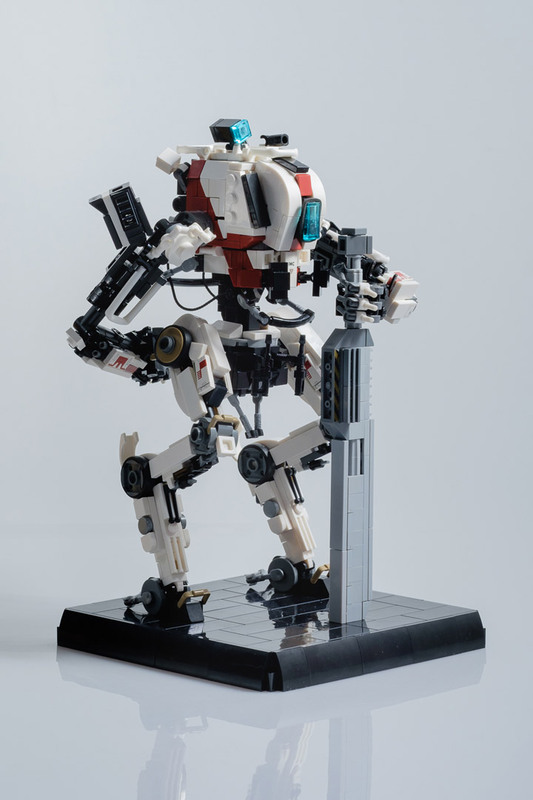 The popular video game Titanfall (and its sequel) is one of those perfect universes that can translate into Lego extremely well. The first-person shooter stars some amazing robots that just ooze style. 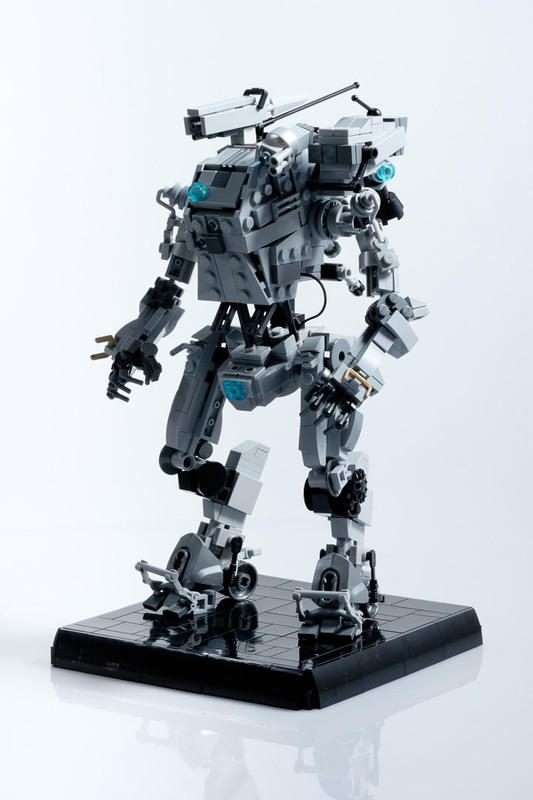 Marius Herrmann has created a small series of Titanfall Lego MOC’s. The creator worked hard to get some of the details as accurate as possible. Focusing on proportions, and color. 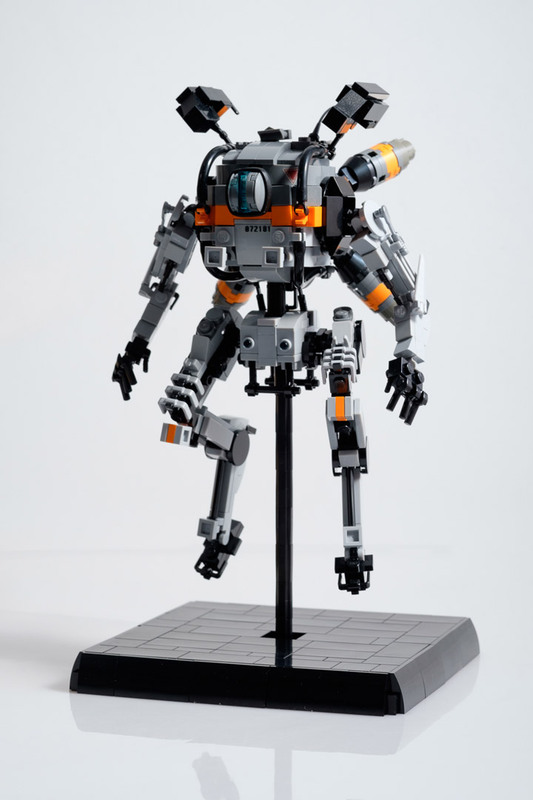 The collection of mechs include Ion, Northstar, Ronin, and Stryder. 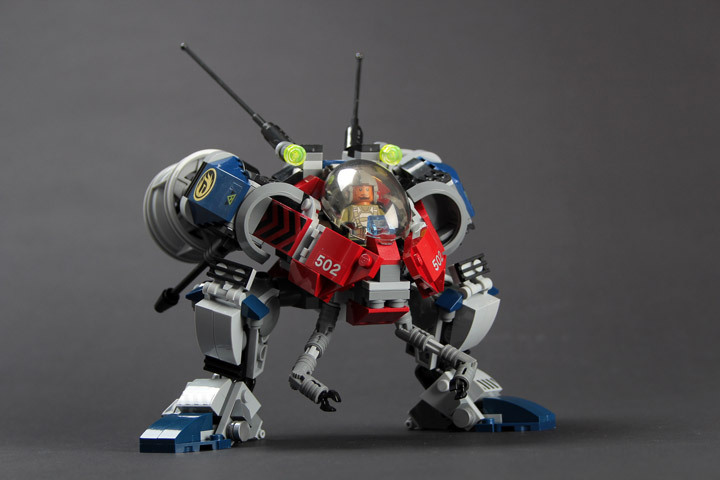 Stryder is the only one based off the first game, and is actually and update to an older Lego MOC (the legs got completely redesigned). The British television show Red Dwarf has been floating through space for over 20 years. 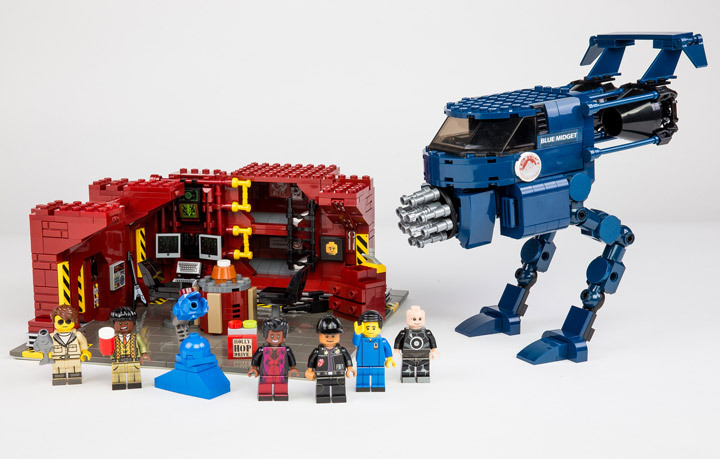 It is about time the crew get their own Lego Ideas set based on the cult comedy show. 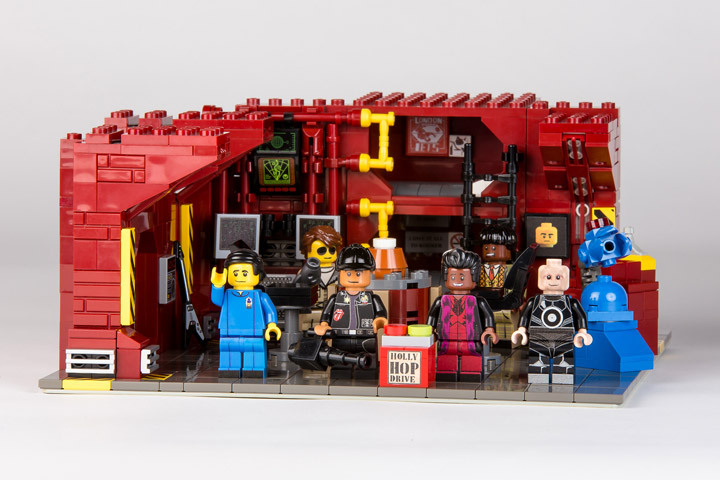 The Lego Red Dwarf set features an amalgamated interior of the ship, and references to a lot of classic episodes. The main design is based on Season X. It includes the famous bunk beds, posters, a sliding airlock, Holly Hop Drive, and Skutters. 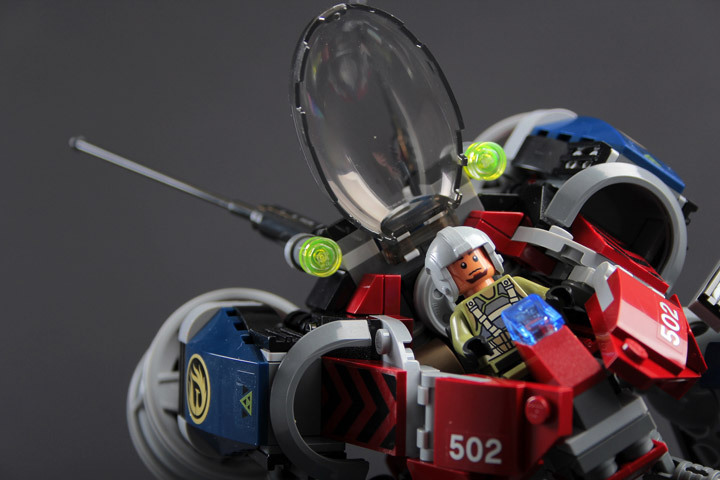 Also included in the Lego Ideas project is the Blue Midget, which is anything but small. There are six custom Minifigures, created by Minifigs.me, which includes: Dave Lister, Kryten, Arnold Rimmer, Daune Dibbley, CAT, and Ace Rimmer. 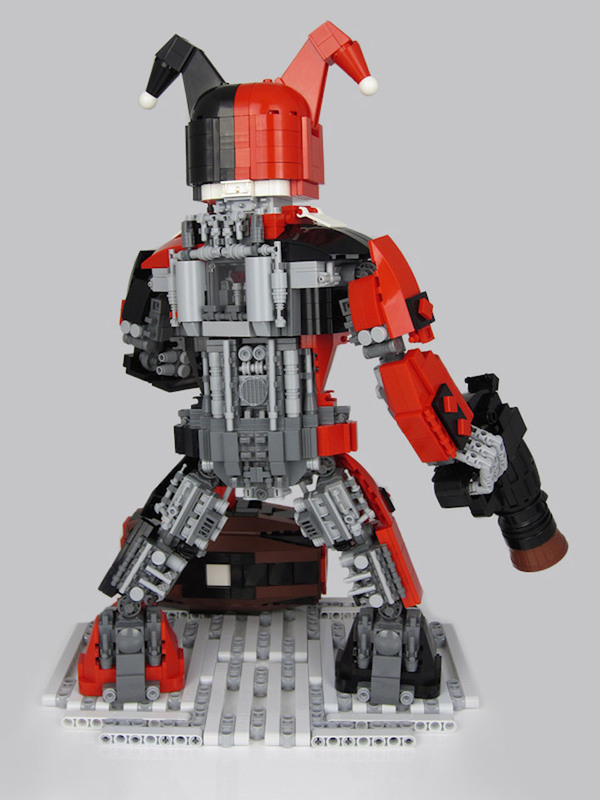 A neat thing you don’t always see is that this Lego Ideas project is listening to the comments and updating the design. The Blue Midget has had its front redesigned, a Talkie Toaster added, and improved Holly screens. 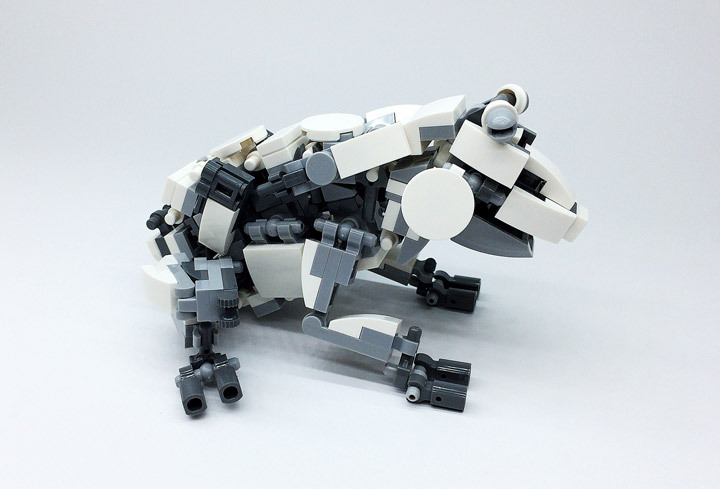 Have you ever seen a relatively accurate model of a frog built with Lego? How about a Mech Frog? 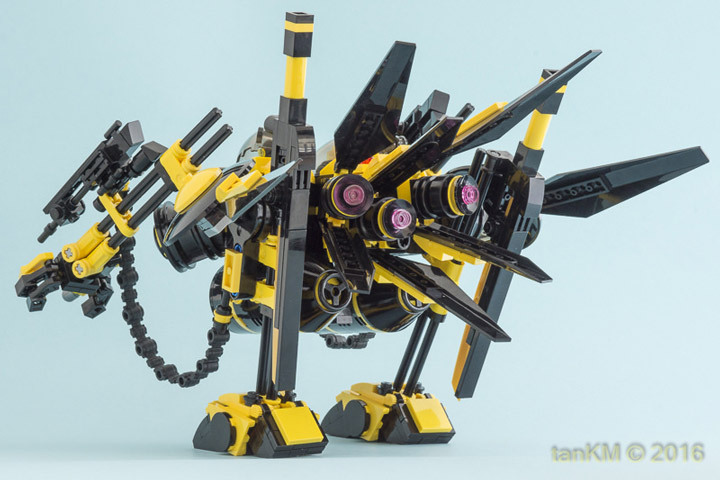 This Lego MOC is stunning. A white frog that is unexpectedly articulated. This thing can open up into a full jumping pose. Plus the head can open up so Minifigures can perform the annual maintenance. Oil changes and such. 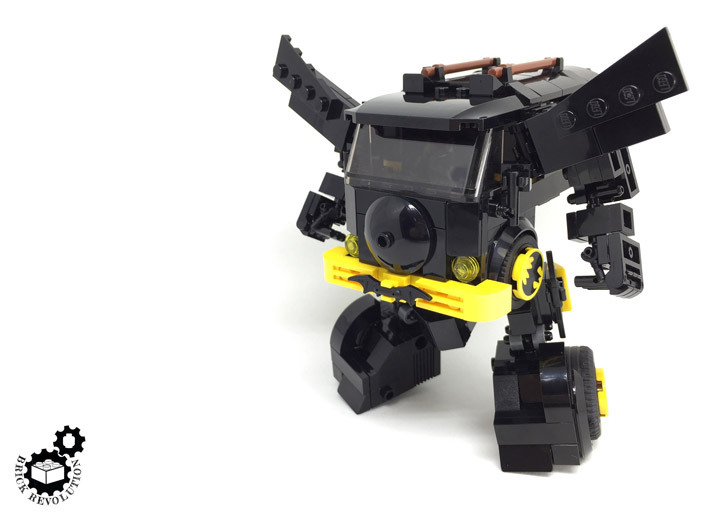 The STILTwalker is a yellow and black Lego MOC. 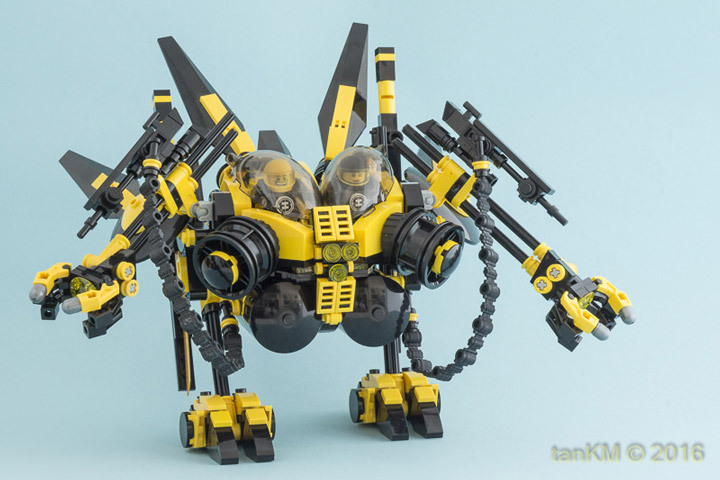 This mech is outfitted with a duel cockpit design. It is held together with Technic Axles, which also allows the body to adjust height by sliding up and down. The walker is controlled with 3 main engines, and 2 smaller “movability” engines. 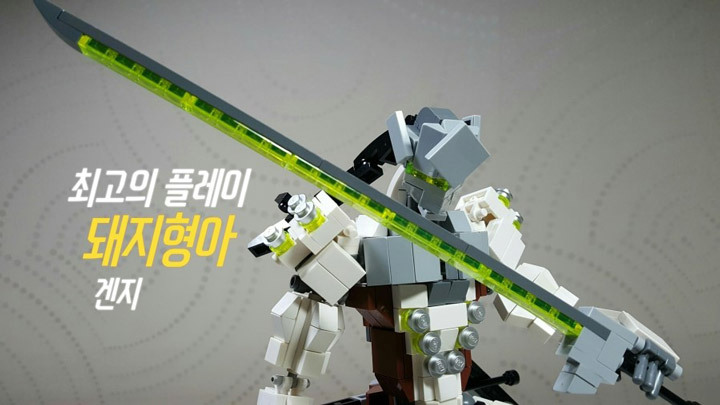 It is outfitted with multiple guns, and even comes equipped with an anime style sword.